When Vivian Divine finds out that she only has a few days until she will be murdered, she does what her bodyguard suggests; hops a ride to Mexico to hide out with a complete stranger that she hopes will protect her until she’s safe again. Unfortunately for Vivian, things do not go quite as planned. Lost and penniless, she depends on Nick, a guy she meets along the way, to help her get to safety. 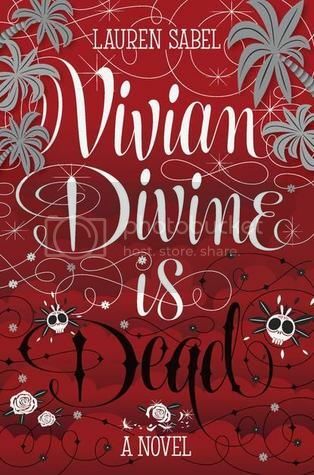 Vivian Divine was an interesting character. She had been through a lot in her young life, with the death of her mother and the almost suicide of her father. She comes across as very privileged in the beginning of the novel, but quickly learns to deal with the situation that she has been thrown into. There was definitely a lot of character growth for this girl throughout the novel. I never really bought into Vivian’s relationship with Nick. Unfortunately it felt too insta-love for me, and I never really felt any chemistry between them. While Nick was mysterious, I found myself wary of him throughout the whole novel, and I was spot on with my gut feeling. There is twist at the end of the novel that made me think differently of him, however. The storyline for the book was very unique and fast paced; there always seemed to be something intense happening to Vivian. There was a lot of mystery as well, and that is what really kept me turning the pages. The end of the book left me hanging a bit, as quite a few things were left undone. That makes me wonder if there is supposed to be a sequel to this novel. I can’t find any information that there will be, but I’m assuming that there might, just judging by the ending. Overall; this book was a really quick, mysterious read for me. I think people who enjoy mysterious thriller novels will really enjoy reading this book. It sounds like a nice read. I really like mysterious novels. Esspecialy the ones that make you want to keep reading all day. To bad you didn't quiet like the love part. That's always a bummer to me.